Think about the soft seats on the playground equipment your kids use, the rowing shoes you wear to work out, and even the spa pillow that supports your neck during relaxing baths. In all these cases, you — the end user — have a relationship with the product. That's where EVA-based injection molded PopFoam really shines. Either the foam directly relates to how the consumer uses the product or it’s paramount to the product’s safety and performance. When your design features foam as the main attraction, it’s worth using the highest-quality material. 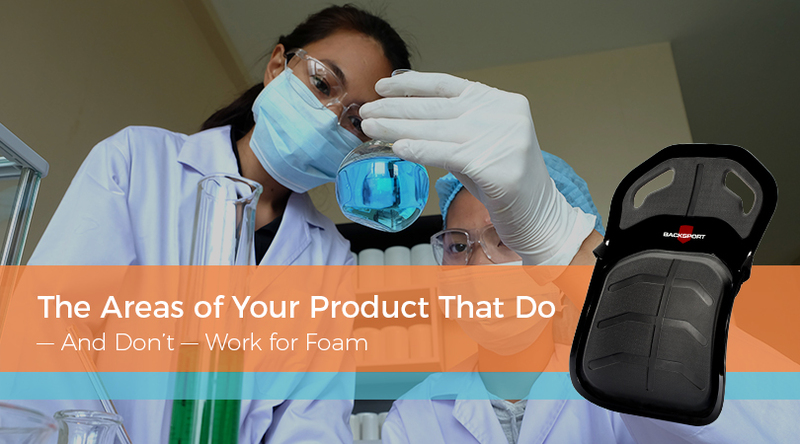 Several factors contribute to injection molded PopFoam’s superiority over conventionally molded foams. For one thing, parts made from injection molded PopFoam are virtually indestructible. To achieve this enhanced durability, we make every part by cross-linking materials in the mold. When developing a product, this gives the foam increased strength and structural integrity on a cellular level. In addition to strength, products made with PopFoam simply perform better. Cross-linked PopFoam is carefully compounded to create the perfect amount of bounce and compression. Compounding the material makes elongation easier without compromising its tear strength and UV stability. Finally, PopFoam can be designed and molded into novel shapes, thanks to its ability to expand out of the tool. This expansion — or pop effect — gives us the opportunity to create hollow core solutions that other foam molding processes simply can’t accomplish. • Think through the process carefully. It's important to consider every aspect of the product’s design. How will it have to be molded to achieve the right geometry? How should it be tooled (and removed from the tool) to set the parting line exactly where you want it? • Talk to several experts. Reach out to various suppliers and experts to learn about the benefits and drawbacks of certain processes. Once you know how your product should be made, you can determine whether PopFoam’s quality and process will best fit your needs. • Do your own research. We have a variety of articles on our blog about developing a product and the benefits of EVA foam. Our whitepaper provides a more detailed guide on how PopFoam can enhance product performance. Finally, our design guide, "The Ultimate Design Guide for EVA Injection Foam Molding" will give you ideas on how to incorporate PopFoam into your designs. You can likely find detailed answers to your questions in one or more of our online resources, or feel free to contact us today to speak with one of our highly knowledgeable experts. Combining quality and performance with the ability to shape virtually any design makes PopFoam the best choice for a wide range of products — but that doesn't mean it's a good fit for everyone. When developing a product, make sure to understand your needs, speak with the experts, and do supplemental research to determine the best path for you.